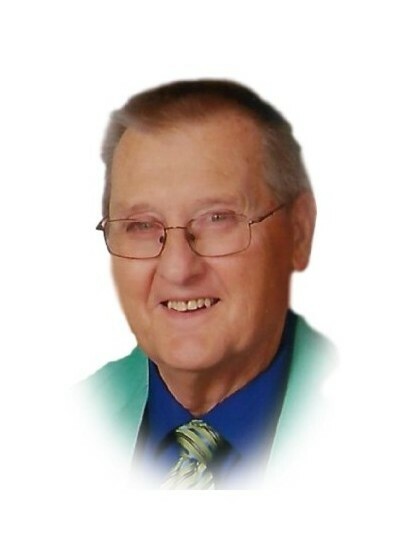 Obituary for Ronald E. "Ron" Barner | Knight-Confer Funeral Home, Inc.
Ronald E. “Ron” Barner, 78, of Montgomery, entered new life eternal on Tuesday, April 16, 2019 at UPMC Susquehanna Williamsport. Surviving is his loving wife, Mary Ruth (Steele) Barner, with whom they would have celebrated 55 years of marriage on May 23, 2019. Born July 8, 1940 in Salona, he was raised by the late William and Charlotte (Ungard) Chatley. Ron served his country in the US Navy, and worked as a forklift driver and train engineer for Bethlehem Steel until his retirement in 1997. He was an over 50-year member of St. John’s-Newberry United Methodist Church, where he served as a former youth fellowship advisor where they called him “Big Guy”. Ron was a sports enthusiast and was very athletic in his younger days. He could often be found watching his favorite team; the Phillies anytime they were playing. He was also a former basketball referee. Ron was known as a people person and had a great sense of humor. He liked traveling to the beach and feeding the seagulls Thrasher’s french fries. Most of all, he enjoyed spending time with his family and grandchildren. Surviving in addition to his wife are; two daughters, Trudi L. Swancer (George) of Northumberland and Tammi L. Richards (Thomas), of Greencastle, six grandchildren; Travis, Levi, Trey, and Tessa Swancer, and Marlee and Braedon Richards, a brother; Rev. Richard M. Barner (Sandra), of Williamsport, and numerous nieces and nephews. A memorial service to honor the life of Ronald will be held 11 a.m. Saturday, April 20 at St. John's-Newberry United Methodist Church, 2101 Newberry St., Williamsport, with the Rev. Lenore Hosier officiating. Memorial contributions may be made in Ron’s name to St. John's-Newberry United Methodist Church c/o Youth Fellowship, 2101 Newberry St. Williamsport, PA 17701.